Fill this form for any query, we will revert you soon. Welcome to Film & Creative Arts Institute- Ranked Best Acting School in Mumbai, Tap to Call +91 9867250128/ 7977734703/ 9987472307 Admission Open For New Batch. Book your Seat and Get good offers. Feel free to contact us. How method acting support actor to make actor better? Method acting is one of the controversial parts in the field of acting. But there is no doubt that method acting supports the actors to make themselves better in their work. method acting is to replicate and feel the circumstances, emotions, mannerisms of the character. If the actor is playing any historical role, then he will research on the character. Then he will try to live the character’s life. Thus he can match the mentality of the character very well. if the character is very fat or very slim, then the actor will gain weight or lose weight according to the character. Thus the actor can fit the character very well. so, by method acting the actor can produce a very powerful act. And the performance then generally leaves marks on the heart of the audiences. How important is theatre performance? ● theatre performance helps the society to develop the creativity of art. ● theatre performance helps anyone to express themselves effectively. It increases the ability to communicate the feelings and thoughts with others. ● theatre performance is a great way to tell the problems of our society. By the performance, we can deliver how we can solve the problems. ● theatre also helps us understand other cultures besides our own. ● From theatre performance we can learn about history. To read history from books is boring sometimes. So, it is a fun way to know about history. So even if we are living in the 21 st century, theatre performance has an important role in our society. Why it so important to choose Best Acting School In India ? Just like any other work, act in Bollywood also require for doing a lot of hard work. and learn more about camera Act it is really important. by our training you will understand about the camera angles. Thus you can portray yourself in a better way. In theatre, you do not need to know about this much. As in theatre people can see you in 3D and also the microphones and cameras are closer to you. Still some of the schools do not give more preference to camera. Instead they give preference to theatre act. But in FCAI, We give training in front of the camera to get actual results of your act., thats why FCAI is known as Best Acting School With 100% job Placement. How nine emotions support actor while they are acting? 1. Comedy: to make people laugh is a tough job. You need to have the presence of mind and also great timing to act comedy. 2. Astonishment: to express astonishment at the ačting one need to pop their eyes or to raise eyebrows or to open mouth. 3. Disgust: this is the emotion you portray when the actor sees or hears or smells anything dirty. 4. Fear: this is the emotion the actor shows when they see something frightful in the act. 5. Peace: when in the act one visit temple or church, thus they shoe peace. 6. Love: love can be in many forms. Love can be of brotherly, friendly, fatherly or motherly. 7. Sad: this is the people show by reacting slow. 8. Brave: this emotion shows a positive and daring attitude. 9. Anger: this is a heightened emotion. Generally, it is a consequence reaction to anything. So, our training depend mostly on teaching these nine emotions. Many institutes do not focus on the audition techniques. But FCAI focus on these to enhance your ačting. Our world is now surrounded by technologies. Even technology can help you to enhance your ačting. Projector class is now not only used in schools or colleges. We can use this technology in acting school too. In projector classes, the analogue and art techniques can be shown. But it is not available in every acting school or institute. but we, FACI provide you projector. We can also discuss the fil appreciation by using the projection screen. Thus the students also get attracted more to the class. And it is also fun. We are a school of professionals who deliver scholarships to students to seek the assistance of the same. The entire process is based as per talent an individual possesses. This is checked during counseling and also based on camera appurtenances and others. Our facilities apart from scholarships are many. Few are study materials, extra and special Training and many more. support from FCAI is given–though all our students get placed in many films, TV shows, Web series, Festival films and assist directors while the course in on. This is because we conduct live training and thus – candidates get the industry exposure from Day 1 of the course. Finally, we make them available for future just by crafting them finely and making the career shine from the Silver Lining. We are the first institute in India who possess Alumni classes – and furthermore deliver diploma classes. These training are conducted weekly basis and moreover, not a single cost is being claimed by these students of ours. While the course is on. We teach various techniques like – speaking, audition etc. Notable directors come and take the classes. This makes candidates strong and finally, they can well make a career in this field of acting. 2: Robinhood ke Pote-Dir. Pradeep Singrole(Associate director in "Bhopal prayer for rain"
5: "Tere mere sapne" as a parrellel lead. for Star Plus. Character name is "Kalua". (I was nominated in Star Parivar Award 2010 in the category of "favourite mazedar sadasya"). 6: More than 1oo episode of Crime Patrol for Sony channel. 7: More than 6o episode of Savdhan india for Life ok channel. 8: Shaitan for Colors channel. 9: Gumrah for V channel. He has done the earlier training from TIE (theatre in Education), a Part of NATIONAL SCHOOL OF DRAMA (NSD). 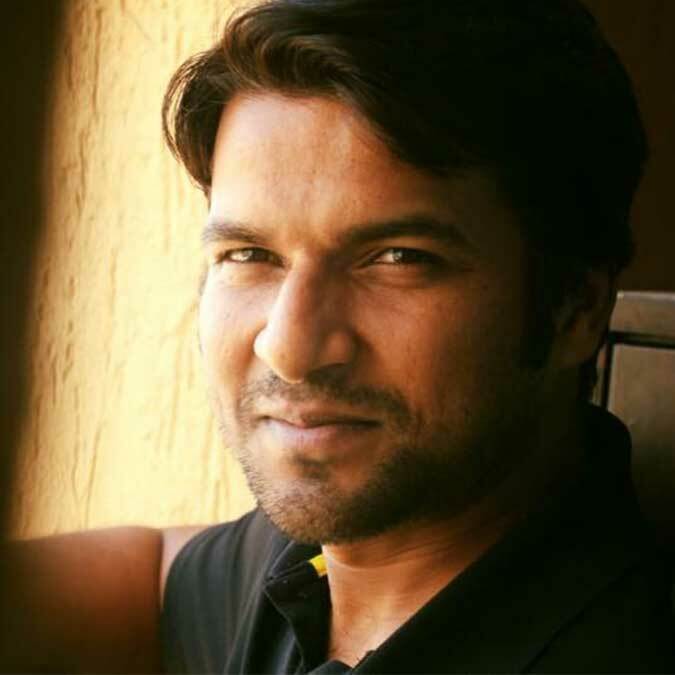 He has shown his talent in Popular Serials, Mahabharata and Siya ke Ram. He is known for various character play and roles like Comedy, Action, Romance, Drama etc. Due to his versatility, he received the award in Cannes for his commercial of Mumbai Mirror. He is well-known name Style & Ads world. Now he is coming up with the great entry in new show called MAHAKALI. Ad Films and Films- Mumbai mirror, aadhar smart card, campus shoes, hp petrol pump, pooja oil Films-Do Duni Char, Dare to Date, Maa Exchange and Ajab desh ki gajab kahani. "CHARACTER ROLE-Savitri Devi College & Hospital"
"Tu Sooraj, Main Saanjh Piyaji"
"CHARACTER ROLE- Roop - Mard Ka Naya Swaroop"
"Har Shaakh Pe Ullu Baithaa Hai"
"CHARACTER ROLE Marathi Serial, Star Pravah"
All students are required to be punctual and have an attendance of at least 90% in class . Diploma will not be awarded to students whose attendance is not up to the mark. The school reserves the right of suspending, removing or taking any other disciplinary action against any student at any stage for misbehavior, misconduct or any other good and sufficient reason, which may be detrimental to the welfare of the school as a whole or of the students. No leaves of absence are granted. Excessive absence, class cuts and tardiness leads to dismissal. Admission / Seat booking fees are generally non-refundable even if an applicant is either absent or not attend the classes.